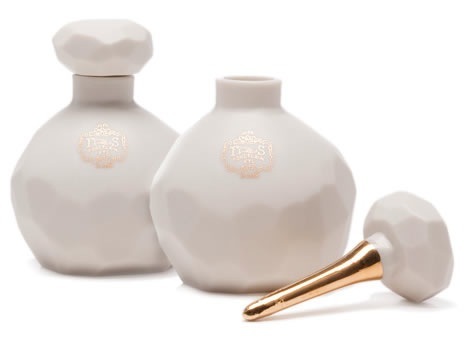 I am a total sucker for beautiful packaging and was blown away when I saw these porcelain bottles for Joya's latest perfumes on oh joy yesterday. Each bottle is handmade by the talented Sarah Chihat (whose work I love) and are complete with a 22k gold dipped wand. Can't wait to get my hands on one of each! Oh my! these bottles are awesome!